Are you searching for the best cheap gaming laptop under 500$? If we talk about gaming laptop, you may think that a 1000 bucks budget is necessary for a gaming laptop, but there are still some good products available in the market which you can try. A gaming laptop at a 500$ range is hard to find, many of them are said to be the gaming laptop but disappoint at the time of intense gaming. In this post, we'll give you a detailed guide about which laptop you should go for if you have a budget around 500$. We'll provide you the specifications, the plus, and negatives of the particular laptop which fits your budget. I know people look for key features before buying a laptop, but at this range, there are not many varieties available for the buyer. But some companies can fit their gaming laptop in this range by compromising some or the other additional features. All you should expect is a good laptop which gives you a give gaming experience and lasts for enough long time. The Laptops in this range may not be able to support all the latest games but works well with many games. Make sure to check your specification requirements. Let's have a look at what you should look for in this range. What should you look for in a best budget Laptop ? First of all, the main thing that is counted is the OS. You cannot get Mac OS at this price bit still there are a variety of options if we talk about OS. Linux may be recommended but not for gaming. The only option you have is windows if you want a gaming laptop. Because most of the games are not supported on other OS than windows. So, the best recommended OS for gaming is Windows of course. You should go with Windows 8.1 or higher versions as they can be updated free. You need to be updated with the latest hardware technology. So, you must look for a laptop whose hardware can be updated easily. Whether it is a RAM or a hard disk drive, you must be able to customize it in your way. This becomes very important when you buy a laptop for gaming purpose as many games do not support low specification laptops. Just make sure to check this when you buy the product. Except all this, the look and design of the laptop must be attractive and the software should. Also, the processor should be strong enough to support high-end gaming and does not lag at intense gameplay. If you want a gaming laptop, I will personally recommend you to go with at least 8GB of Ram and 1 TB HDD which is pretty much necessary for good games. The first laptop that I will recommend you to buy for good performance is Acer Aspire. The Acer gives everything you need for a good gaming experience. And at this low budget, this is probably one of the best-recommended product. It contains enough powerful graphic card, faster RAM and other basics that are needed for gaming. The Acer Aspire has a NVIDIA GeForce 940MX card with an 8GB DDR4 RAM and also a 2 GB DDR5 VRAM. You can even play games like Battlefield and Watch Dogs 2 on it but at low setting options. Because the specifications are limited for a low-budget laptop. This laptop has an SSD of 256GB instead of an HDD which loads much faster. The space provided here is the only problem with this laptop. It consists of two built-in speakers and a six-cell 2800 mAh battery which lasts around 12 hours. It does consists of a built-in HD webcam. Aspire has 2 USB 3.0 ports.The laptop is designed for those who just like to play games or do some basic work. Not for those, who like to store lots of files. Because a 256 GB SSD can be able to provide good speed, but it does lack storage. You can buy an external HDD to solve this issue. The laptop comes with a dimension of 10.2 x 15 x 1.2 inches and weighs a bit more than 5 pounds. Overall, the way this laptop is designed is appreciative, and I does give you a good gaming experience at a low price. The laptop comes with an 8GB RAM and an SSD which gives you faster speed. The Intel 7th gen processor is another plus for the laptop. The SSD provides you a space of only 256 GB which is not sufficient if you like to store a lot of files. The trackpad may not give you faster and accurate experience. Asus is known for making quality products at affordable rates. Asus brings a variety of products and peripherals and is one of the biggest names in the field of computer peripherals. This gaming laptop gives you some high-level specifications which support many heavy games at normal settings. 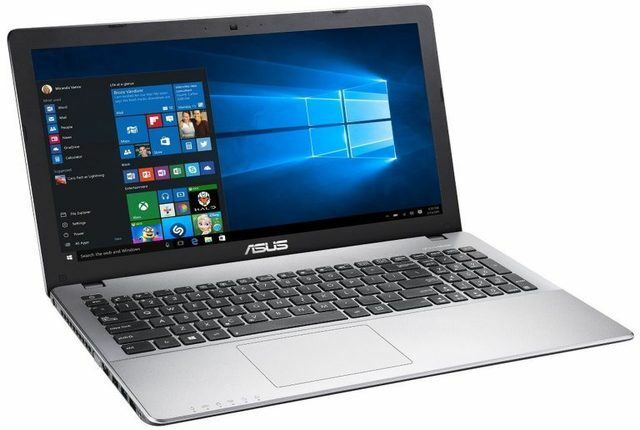 The Asus X550ZA is available in two different versions now. This is the older one which has 1 TB of HDD, while the newer version has 256 GB SSD. This lets you select the laptop according to your choice and need. The design and look are very slim and sleek. The laptop consists of 15.6 inches LED display screen which gives you better output in any conditions. Overall, the hardware, software and also the design gives this laptop a place in the list. Let's have a deeper look at the specifications of it. The processor of this laptop by Asus is an AMD A10 chip instead of Intel. This is one of the best processors which you can get in a laptop at this budget. Again this laptop has a huge RAM of 8 GB which allows you to support large games easily. It consists of an AMD Radeon R6 graphic card which supports many extraordinary games at high settings as well. If we talk about OS, then this consists of Windows 8.1 which can be upgraded to Windows 10 for free. The laptop gives you a nonstop gaming experience of around 5 hours and can last up to 12 hours for basic users. The display gives you a max resolution of 1366 × 768 pixels.Overall the specifications are too good at this price tag. The product comes with a dimension of 9.9 x 15 x 1.2 inches and weighs just an ounce more than 5 pounds. We can consider it pretty light weight. In the end, the features that this laptop provides are rarely seen at this price tag and deserves a try. The stylish finish at the edges gives it an attractive look. Can easily support many high graphic games at medium settings. The 2.5 GHz AMD processor and 2 GB R6 Graphic Card is a plus for the laptop. The keyboard buttons may feel little irritating or loud when clicked. The webcam that this laptop provides is not up to the quality. 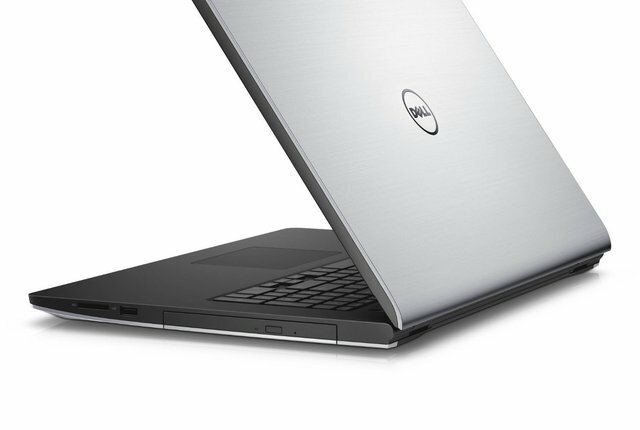 Inspiron series by Dell is one of the best laptops available in the market at nominal rates. This particular laptop is for those who wants a big screen for having better gaming experience. The laptop comes with a huge screen of 17.3 inches which is enough for a good output. This Inspiron model has a two-tone exterior which provides the display an attractive look. It gives the laptop that premium design that you look for. The 17.3 inches screen performs well and gives you a better output even in direct sunlight. It gives you an HD resolution of 1600 x 900. It does consists of built-in stereo speakers. Let's jump on to the hardware and other specifications of the laptop.This laptop gives you a strong processor of AMD A8-7410 2 GHz which is impressive. The problem with this laptop is its RAM because it provides you only a 4 GB DDR3L SDRAM which can support games like CS or Older COD but if you like to play latest high graphics game then don't worry this laptop also comes with an option to expand its RAM up to 16 GB. The laptop weighs little bit high because it has a larger screen. It weighs 7.4 pounds and has a dimension of 11.2 x 16.4 x 1.1 inches. It comes with a warranty of one year. Overall, the hardware configuration of the laptop is pretty good except that RAM. You may have to spend few more bucks to make it a complete gaming laptop but don't worry it still will cost you less than 500$. One of the cheapest product available in market suited for gaming. Consists of a powerful AMD processor and a graphic card as well. Gives you a better experience with 17.3 inches of screen. Comes with a 4 GB RAM which requires some upgrades for better performance. 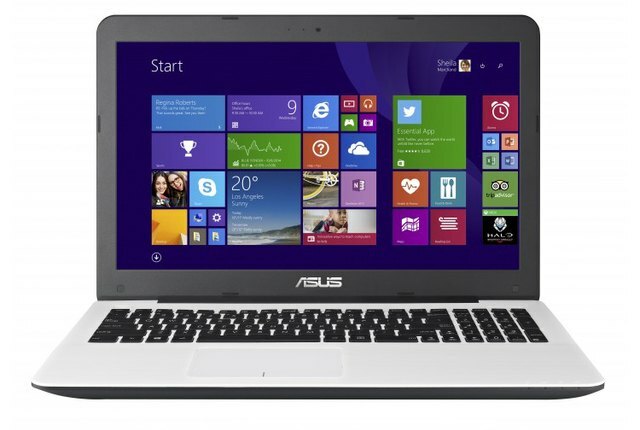 This laptop by Asus is available in two different versions. The older one had a 500 GB hard disk and Windows 8.1. But in this newer model, space has been increased to 1 TB, and the operating system is also updated to Windows 10. The laptop can easily be used for multi-purpose. 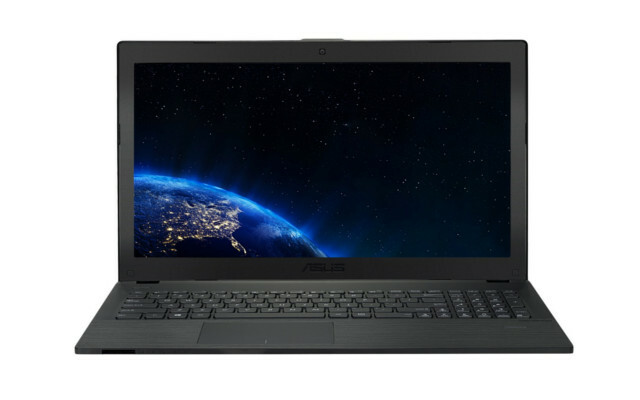 It can be used as a gaming laptop because the features provided by Asus is enough to support many games at this rate. The design of this newer version is way better as it has a more stylish color scheme. So, there is no doubt that this laptop gives you a premium feel. Now, that's all about look and some basic info. Let's have a deep look at what this laptop provides at this budget.As I informed you, the system is operated by 64-bit Windows 10 OS which gives a good interface. It has a 15.6 inches HD LED screen providing a good experience. It has a 5th-generation Intel Core i5-5200U 2.2GHz processor for faster output. The laptop consists of 2 x USB 3.0, 1 x USB 2.0, 1 x HDMI and VGA ports. It does have a Gigabit Dual-Band 802.11AC ultra-fast WiFi. It has an 8GB RAM and 1 TB hard disk space. The keyboard consists of an IceCool technology, and the design is very ergonomic providing a good comfort to the palm. Other than this, it consists of an Intel HD graphic card which may not be able to play high graphic games but still supports many of them. All these things make it a worth buying product as it can be used for any purpose.The laptop comes with a warranty and accidental damage protection for one year so that you can be assured. The battery backup is around 7 hours which is better than many others present in the market. The dimension of the laptop are 10.1 x 15 x 1 inches, and it weighs little more than 5 pounds. Overall, this is a wise choice if you're a light user. A multipurpose laptop which can be easily used for any purpose. The battery gives you a better performance as compared to other products in the list. Huge system memory and HDD increases the productivity. Also, has one-year accidental damage protection. The graphic card is not very impressive and supports only selected high-end games. This is yet another quality product this time by Asus. The previous laptops were not able to play many heavy games due to less advanced hardware configuration but Asus beats them with this series of convertible notebooks. The laptop has a 15.6" HD 1366*768 resolution with 360 degree rotating touchscreen which can be easily converted into a tab or a laptop. We've seen that the previous convertible provide only 4 GB of RAM but this product by Asus gives you 8 GB RAM which allows you to expand your gaming list with some high-end games. The design and slim provided by Asus in their every single product is undoubted. The laptop gives you a premium feel with the silver color. Let's have a close look at some technical information about the product.As i said before, the laptop comes with a 8 GB RAM which allows you to surf better. The laptop has a 7th Gen Intel Core i5 processor (3MB Cache, 2.5 GHz) which is still very good. It also consists of a Intel HD Graphics 4400 graphic processor like other convertibles and also gives you a space of 1 TB 5400 rpm Hard Drive. The OS provided here is Windows 10 64-bit which is free to upgrade. Another plus point of this laptop is that its 8 GB RAM can be expanded or customized. It measures 0.9 inches this and weighs only 4.9 pounds. Overall, this P series is one of the most powerful cheap laptops by Asus. Overall, if you want a good gaming laptop with a all round performance then i strongly recommend you to consider this on your list because the features that Asus provides are rarely seen in other laptops at this price. The best all round laptop available in market at a budget under 500. Gives you a 8 GB RAM which can be expanded as well. The intel graphic card is good but still lacks the ability to handle very heavy games. This is one of the best laptops available under 500 range which is recommended for some good games. 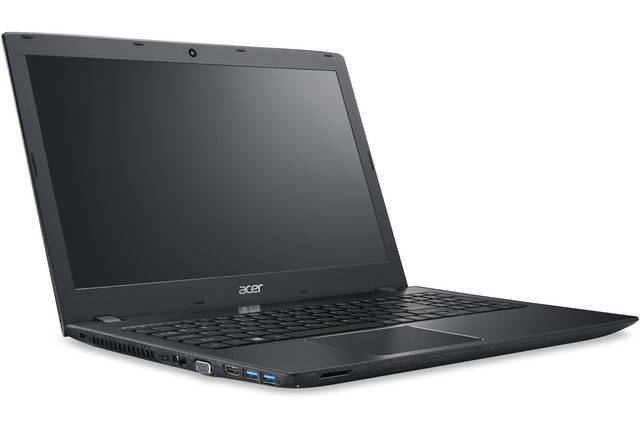 Acer provides many cheap quality gaming laptops which can be affordable as well as efficient. This model by Acer has a full HD LED screen of 15.6 inches. The features of E 15 series are not too different very impressive at this cost. This laptop is very similar to the other one which we've mentioned in the list. The buttons give you a good and smooth click, as well as the touchpad, works impressively. Also, has stereo speakers with built-in microphones. Let's haves closer look at the other important configuration which comes with this laptop by Acer.First of all, if we talk about its processor, then it comes with an Intel Core i5 (6th Gen) 6200U / 2.3 GHz processor. A dual core processor is must if you want to play heavy games. The laptop comes with a 8 GB DDR4 SDRAM which allows you to surf without any problem. Also, you can extend the memory up to 32 GB which is another plus. The laptop has the best graphics processor which you can get at this range which is NVIDIA GeForce 940M GDDR5 SDRAM. The laptop also has a built-in HD webcam. The storage provided here is 1 TB HDD with 5400 RPM. The battery performance of the laptop is also impressive. It has a 2800 mAh 4 cell battery. The laptop comes with a Windows 10 64 bit edition and also has a warranty of 1 year. The built quality and design is also very attractive, and the body is strong.The laptop also comes with the LED backlights technology. And the weight of this model is little over 5 pounds. 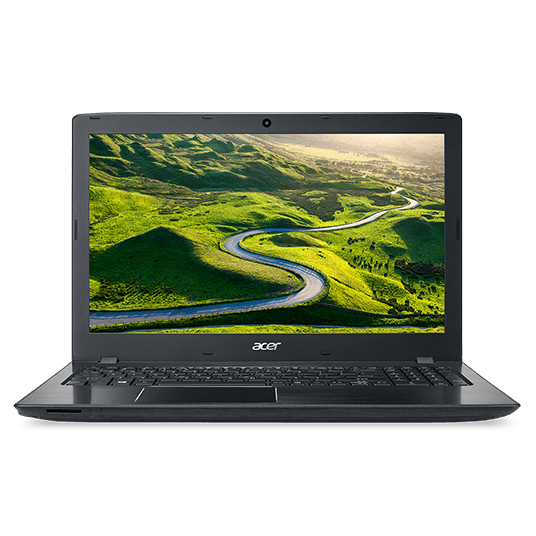 I will suggest you select from on the Acer E 15 series from the list because it not only provides you the performance but they are also budget friendly. 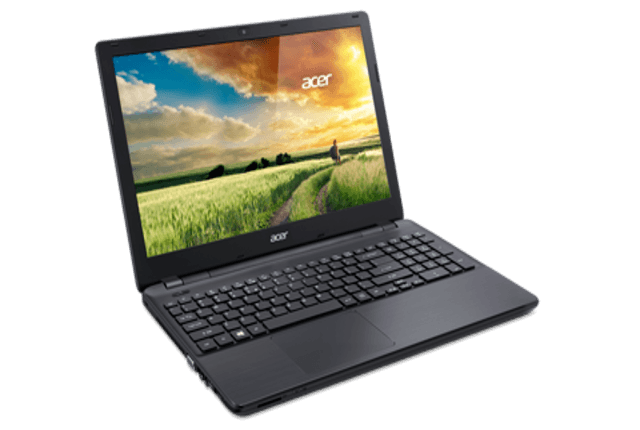 Overall this model by Acer is an another choice for you which provides a good all-around performance at a low price. The laptop comes with a NVIDIA GeForce graphic card which is one of the best available at this range. Comes with a super fast dual core processor with 3 Mb cache. Also, has an 8 GB DDR4 SDRAM for better performance and speed. The weight of the laptop may not be very light, but still, it is average. The quality of the webcam is not up to the mark. Another model by Acer Aspires series. This 59EE version is also pretty much similar to the others on the list, but there are few things which are changed here. The processor is faster on this laptop than the previous one. The design of the laptop is not too slim, but still, it looks good and attractive. The 15.6 display is full HD with LED backlight. The keyboard and the touchpad are similar to the previous Aspire laptop. And other basic and small components like webcam, speaker, etc. are not different in this. The main reason to build this laptop is to provide faster performance than the previous versions of Aspire series. Let's jump into the technical specifications of this model of Aspire series. The company has focused more on the processor here and has provided an Intel Core i5 (6th Gen) 6200U 2.8 GHz processor which provides one of the best performance at this price tag in this list. Just like previous one, the laptop consists of a 8 GB DDR4 RAM and similar 1 TB Hard disk drive which gives you enough storage. Most of the model of Aspire series consists of a similar graphic card which is NVIDIA Geforce. This is the main reason why Acer stands at a better position if we talk about gaming. Currently, you cannot get any better option of graphic card in a laptop at this range. The battery of this laptop is also 2800 four-cell lithium which provides same performance as the previous one. The laptop operates on the current Windows ten 64-bit version.This laptop weighs around 5.29 pounds and comes with a warranty of one year. Overall the hardware, as well as the software, seems impressive, and at this range, they are worth a try. This is the reason why Acer is the most preferred company because they provide unique configuration at a low price. You can select between different models as per your choice. The design is appreciative, and the backlight makes it more attractive. The laptop consists of 2 GB Graphic memory by NVIDIA. Provides you enough storage as well as performs faster with a powerful 2.8 GHz processor. There is lack of innovation if we compare it to the other models of the company. All the models appear similar. The click may not feel very comfortable with this model. This is yet another a budget gaming laptop provided by HP. 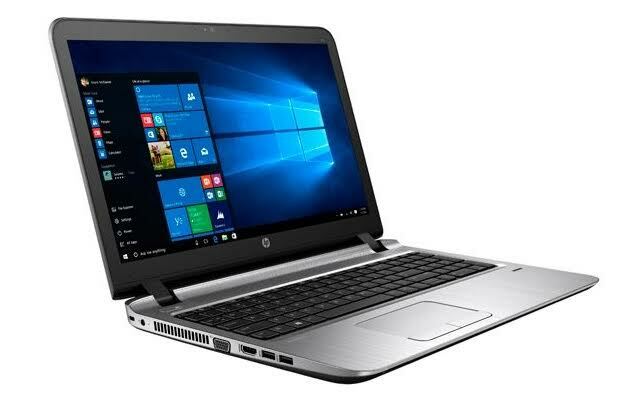 Most of the times, companies compromise many features to make their products cheaper, but this product by HP gives you some high-quality features at an affordable budget. It has a 15.6 inches full HD LED screen providing you a great performance. The HP 15-ay011nr has many powerful functions, and there is no doubt in the built and durability of this product. 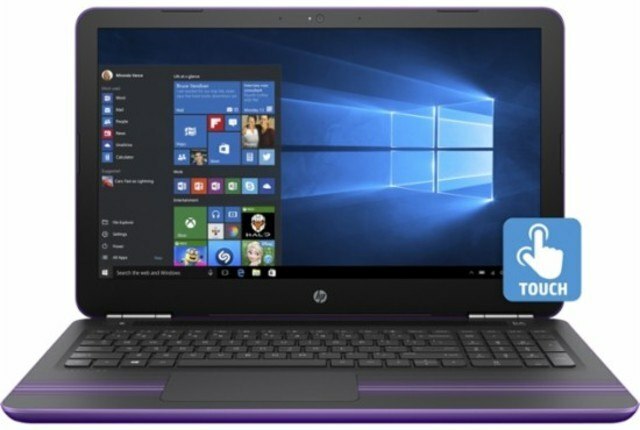 The RAM, processor, and HDD are the main points in which HP has focused on this laptop. It does consists of some additional unique features as well. The keyboard feels good but has no backlit. Let's have a look at some advanced features which are provided in this laptop.The laptop comes with a dual-core 2.3GHz Intel Core i5 6200U processor which gives you a turbo boost up to 2.8 GHz, the performance and speed are comparatively better than many other at this range. It does consists of a 8 GB system memory (RAM). The laptop comes with an Intel 520 HD graphic card which is pretty average if we compare it to NVIDIA GeForce 940M. The laptop also consists of a 1 TB hard disk which is enough to store many files. The only weakness of this laptop is its graphics, but still, it supports many high-quality games at middle or low setting. Games like CS can easily be played on this laptop at high settings as well. But if you want to play more high-quality games like newer versions of GTA then I will not recommend this to you.The system operates on Windows 10. The battery of this laptop lasts for around 5 hours continuous use. The dimensions of the laptop are 10 x 15.1 x 0.9 inches, and it weighs less than 5 pounds which are very light weight. Overall, this is a good laptop which can be used for gaming purpose only if you are a light user. It has a 6th gen 2.3 GHz Processor giving you better performance. 8 GB RAM allows you to do easy multitasking without any lag. The laptop is pretty sleek and light weight which gives you a better feel. The graphic card of the laptop is not much supportive. It supports only medium level and some high-quality games at low settings. 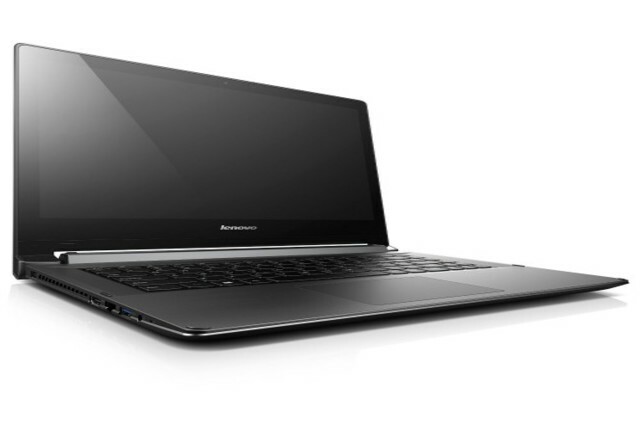 This laptop by Lenovo is sold at a very cheap rate on many websites. The reason behind this is that this laptop in not made for heavy users, if you do not have enough budget, then you can get it at a range of 400. The hardware is suitable only for light gaming and surfing. I'll not recommend this to you for games like COD, Battlefield or other such games. The design of this laptop is very light and slim as it is a convertible laptop. The display is 14 inches and is a touch screen. The screen can be flipped up to 300°. 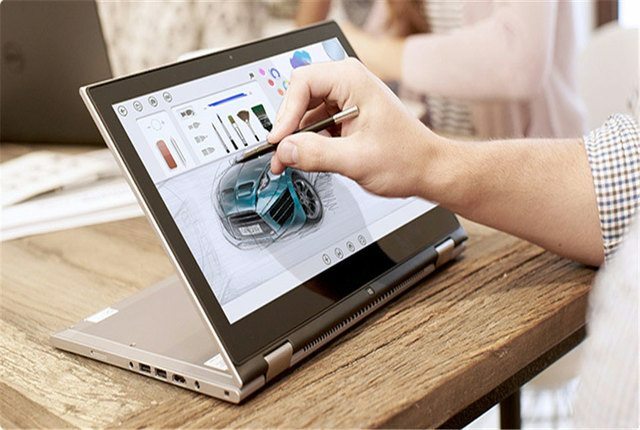 It is a two in one notebook-PC with a touch screen facility. Overall, the design looks very attractive and stylish. Now let's have a look at some technical specifications. The power of this laptop lies in its processor which supports some good games. The laptop has an Intel Core i5 1.7 GHz Processor which provides faster processing. Providing a 8 GB RAM is very hard when you charge a very low amount, the laptop comes with only a 4 GB RAM which is enough for light users but not recommends for heavy users. The space provided by this product is 500 GB 5400 rpm Hard Drive which is enough even if you have many files. If we talk about the OS, the Flex has a Windows 8.1 OS which can be upgraded to Windows 10 for free. The battery of this laptop can last up to 7 hours of continuous use. The dimensions of this laptop are 18.5 x 7.4 x 3 inches, and it weighs only 4.2 pounds which are very light. Overall, the technical specifications are good for basic use. I will not recommend you this laptop if want to play high-end games on your laptop. You should look for other options like Acer Aspire if you want high-end gaming. The laptop can have a convertible 14 inches touch screen. It has a powerful Intel 5th gen 1.7 GHz processor for faster speed. The battery of the laptop gives you a backup of 7 hours which is very good. This is another convertible laptop in this list manufactured by Dell. This model of Inspiron series is also designed for light usage at a very affordable budget. We can say that Dell provides a good and versatile laptop on a low budget for only basic gaming and other usages. The laptop gives you an option to choose from two different versions. One with a 4GB RAM and i3 processor and another with a 8 GB RAM and an i5 processor which costs you little extra than the 500 budget. The laptop consists of a 13-Inch Convertible Touchscreen HD display. The display is detachable and can be easily used as a tablet or as a laptop. This is a good two in one lightweight laptop in this list of budget laptops. That's all about look and design, now check out some hardware configuration that this laptop has. The laptop is packed with a 4th Generation Intel Core i3-4010U processor (3M Cache, 1.7 GHz) which is fast enough. It does not has any extra slot for external RAM and only gives you a 4GB DDR3L 1600MHz system memory. If we talk about graphics, then it has an Intel HD Graphics 4400 which is good in performance but not like those by NVIDIA. The space provided here in this laptop is 500GB 5400RPM SATA Hard Drive which is huge if we look it as a tablet but is average for gaming purpose. It comes with a Windows 8 OS which can be upgraded for free. The dimension of this laptop are 17.7 x 11.5 x 3.2 inches and weighs around 6 pounds.Overall it's a good two in one laptop which gives you the hardware to play some good games at an affordable price. As I said, the laptop cannot be used for heavy gaming, make sure to check out other laptops on the list which gives you high-end gaming. Another convertible two in one laptop by Dell with full HD touch display. The graphic processor is pretty average, and this version comes with only 4GB of RAM. Another great product by HP at a very affordable budget less than 450 bucks. This is another multipurpose two in one laptop by HP which can be used as a gaming laptop as well. Most of the laptop of this series are loaded with low configurations, but this model performs better at this low budget. If we talk about display and designing of this laptop, then there is nothing much to talk about. The design is straight and simple still it looks classy. It has a silver look with a combination of black keyboard consisting backlit, and the 15.6 HD screen is standard in most of the laptops. The design and look may not be very attractive, but it beat other laptops at this budget by its hardware. So let's jump to the detailed specifications of this laptop.Most of the laptops at this budget give you a RAM of around 4GB or 8GB. But this particular product gives you a huge 16GB DDRL3 SDRAM with it to give you non-stop browsing experience. If we talk about its processor, then it is powered by an AMD A10-8700P processor with 2 MB cache which gives you better performance in low consumption. For providing you with a better gaming experience, it also has a Radeon R6 Graphics. The laptop also gives you 1 TB Hard disk storage to keep a huge number of files and games. The laptop also gives you a good battery life which is around 7 hours. The built-in speakers give you good quality sound. The laptop comes with an upgraded version of Windows. It has 64 bit windows 10 OS.Overall, one of the best laptops available in the market with this low price tag. The laptop comes with a dimension of 14.8 x 10.4 x 0.9 inches and weighs as low as 4.8 pounds. The features that this laptop provides are rarely seen in many other products of different companies at this rate which makes it a good buy at this budget. It deserves a try. The laptop allows you to surf or browse up to any extent with a 16 GB SDRAM.
. Has some good additional features like an HD webcam and a backlit keyboard. Gives you enough space of 1 TB to store all your data and files. The graphic card is not very powerful to support very high-quality games even at medium settings. We cannot leave this laptop just for few bucks. This touchscreen laptop by HP costs just a 30 more than 500 bucks. But the features that this laptop gives you deserves those 30 bucks extra. It totally depends on you whether to increase your budget if you want a best touchscreen gaming laptop or you can go with others available on this list. This laptop by HP has a premium noble blue look which is impressive. The laptop has a standard touchscreen of 15.6 inches which is HD for sure. It does consist of a backlit which looks attractive on this laptop. Other than this it also has an HP TrueVision HD Camera. HP continuously brings some extraordinary products with the good configuration at a pretty low budget. This is also an another example of it because the configuration of this laptop is very impressive. Let's have a look at some detailed specifications of this laptop.Starting with the processor, the laptop has a 7th Gen Intel Dual Core i5-7200U Dual Core 2.5GHz super fast processor which gives you better results. The system memory that is provided here is 12GB DDR4 SDRAM which is better than many other laptops on the list. It also has a 1TB HDD 5400rpm storage which allows you to store enough data on your laptop. Another bonus for this laptop is that it consists of an Intel HD Graphics 620 which gives you an impressive performance while gaming. The laptop operates on a 64-bit windows ten home. The laptop also has two built in speakers.Overall, a good touchscreen laptop that you can look for at a budget little more than 500 bucks. I'll highly recommend you this laptop if you are in need of a touch screen laptop which can provide you good gaming as well. The laptop comes with a dimension of 15.1 x 10 x 0.9 inches and weighs only 4.8 pounds. Do not hesitate in buying this laptop if you can raise your budget a little. Still a worth buying product at this price. It has an HD 15.6 inches of a touch screen with the option of backlit too. Also, it has a 12 GB SDRAM with a powerful Intel processor and graphic card. it has some good additional features like HD Webcam and good sound quality. Available in Noble Blue colour only. This is one of the cheapest laptops available on the list which cost less than 400 bucks. 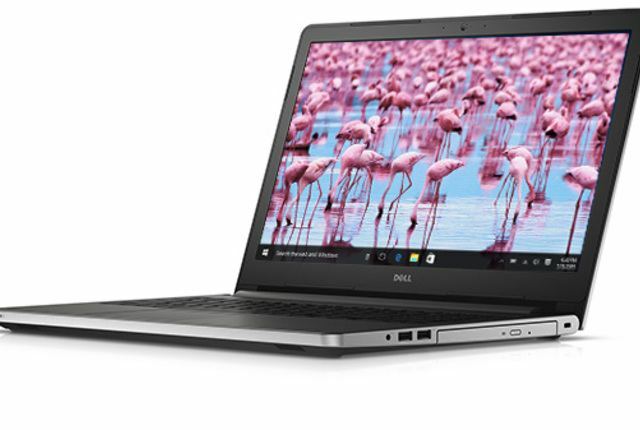 Dell provides this affordable touchscreen laptop with good build quality on a very cheap budget. The laptop is suitable for light gaming and other basic purposes. Still, it provides you with a good experience at this rate. The laptop has a display of 15.6 inches HD LED touchscreen with ten fingers multi-touch support. The laptop has everything that you figured out in other laptops in the list, but this comes with a cheaper price tag. In addition to its touchscreen, the keyboard of this laptop also has backlit which is a bonus for its look. The design and look of the laptop are very classy. Let's have a closer look at the technical configurations of this low-budget laptop.The laptop consists of an 8GB DDR3L 1600 MHz Memory which is rarely seen at this price. The laptop has an AMD A10-8700P processor which provides good performance. Along with this, it has an AMD Radeon R6 graphic memory which is average, but still, you can play some high-end games at low settings. I will not recommend you this laptop if you are a heavy user or gamer. As usual, it also has a 1 TB Hard disk drive memory which supports huge data. The laptops come with a 64-bit windows ten home as an operating system. The speaker sound quality is up to the mark, and the battery also stands very well. It can last up to 6 hours of continuous usage. The laptop has dimensions of 14.96 x 10.25 x 0.95 and weighs around 5.3 pounds which are not very heavy. Overall, this is a good low budget laptop that provides you with some very impressive features like 8GB RAM and good storage. But it also compromises some of those, so I will recommend this to you only if you are a light user and want a good affordable gaming laptop. The laptop gives you a 15.6 inches HD LED touchscreen and a backlit keyboard as well. The laptop provides you with a RAM of 8 GB at this low budget. The built quality and durability of the product is still impressive. The graphic card of the laptop may not support some heavy games even at low settings. Another touchscreen model by HP on the list. 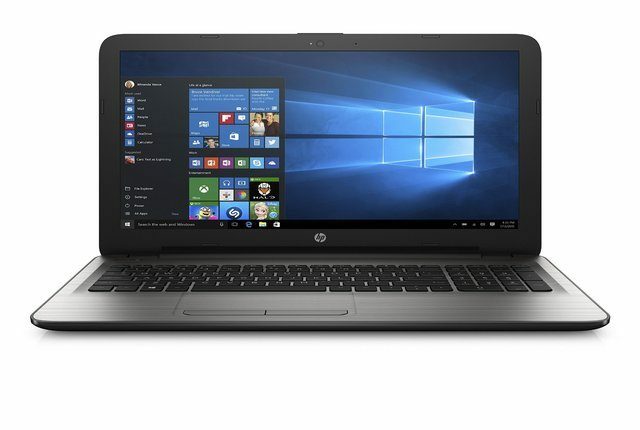 HP provides a huge range of affordable and impressive touchscreen or simple laptops. This Flagship model by HP consists of 15.6 inches of HD LED touchscreen. The design of the laptop is very attractive but still, the colour of the laptop may see little extra fancy. This is not for those who like to keep it simple. The Dream teal colour may look attractive to some and can be a negative for some depending on their likes and dislikes. The display also has backlit which is a bonus for the laptop. The latest 2017 model of this laptop gives you some surprising high-performance features under a 500 budget. Let's have a close look at what this laptop is loaded with. If we talk about its processor, then it has a Quad-Core AMD A10 Up to 3.0GHz which gives a fast performance. Another bonus for this laptop is that it has a 4GB AMD Radeon R5 Graphics rather than 2GB which allows you to play some high-quality games smoothly. The laptop does consists of an 8GB DDR3L SDRAM which allows you easy multitasking without any lag. And at the end, the storage provided by this laptop is also 1 TB hard disk drive. In addition to this, it also has an HD webcam and a built in good quality sound system. The laptop does come with a windows ten home. The average battery life of this laptop is around 5 hours which is similar to others. The dimensions of this model are 15.1 x 0.9 x 10 inches, and it weighs only 4.7 pounds which are very less than many other laptops. Overall, I can say that it is a good laptop at a good budget with some good features to play with. The powerful processor and a good graphic card are the highlights of the laptop. The laptop is yet another touchscreen model with a 15.6 inches HD screen. The laptop also has a powerful processor with a huge storage and a good graphic card. Consists of some good little things which makes it a better option at this price. The Dream teal colour may not be perfect for you.